VIEW has evolved into the product we see today from our determination to develop original, cutting edge swimming equipment. VIEW released the world’s first interchangeable prescription lens goggles in 1991. Our specialization then focused on the children’s market in 1994. 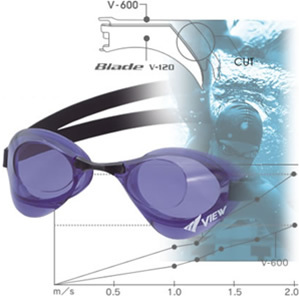 In 2004, VIEW released into the racing market, the “Blade” goggle featuring significantly reduced resistance. This low resistance technology lead to the development in 2011 of the ultimate racing goggle, the “Blade Zero”. The Blade series is supported by many competitive swimmers today. To take technology to the next level, VIEW sought to improve on its market leading anti-fog treatment. In 2018 “Swipe anti-fog” was launched. 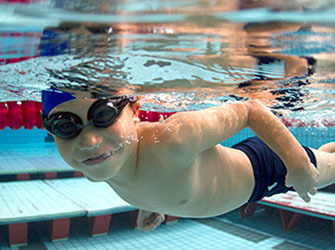 The Swipe anti-fog is recovered by swiping the lens surface of the swimming goggles. All of these products have a highly functional design and purpose, created with innovation and precision. VIEW is determined to continue to develop original and highly precise products to meet our customer’s demands without compromise. Functional design for performance is paramount to VIEW’s innovative concepts. To deliver the best performance always comes one step before design. Our goggles bring unprecedented function and design through our user-orientated ideology. Goggles are something that men, women, boys and girls all use. And inevitably, what they are looking for in goggles varies. And with that, the following question arises. “What is it that women and children look for in a pair of goggles?” The idea to look at things for their perspective became an opportunity to provide new value. Also, listening to what our users have to say has also been a huge indicator in product development. Because by getting closer to those who use our goggles, we are able to offer them the real value that they are looking for. This user-orientated thinking has led to unprecedented functions and design in our products. 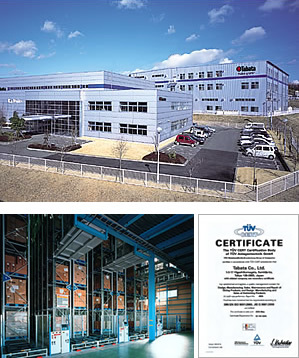 VIEW is supported by a reliable production and logistic’s systems. Tabata aims to maintain the highest quality and safety within a unified customer-orientated process throughout it’s planning, product development, quality control, manufacturing, testing, customer sales, and customer service. 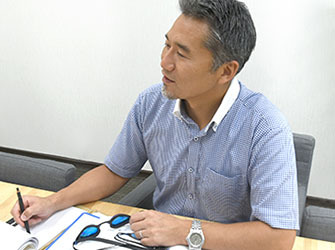 VIEW swimming goggles are manufactured at and shipped from our Ibaraki factory on the outskirts of Mito City (formerly Tabax). Our Ibaraki factory is leading the way in this industry with an ISO 9001 rating, the international standard for quality assurance. 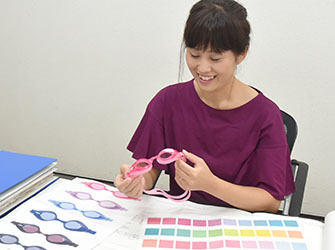 Under modern automation, we manufacture swimming goggles, which boasts world-class production volume, based on internal quality standards exceeding JIS standard S7301. Order placement is made online, and product management is done using computer controlled automated warehouse. By collectively managing products, we have built a rapid and highly efficient logistics system. We supply Tabata products to more than 80 countries throughout the country via overseas retailers. Suppressing blur and reducing flow resistance to a minimum. Cutting even further the protruding surface area by 5% in the pursuit of extremely low resistance. ‘SHINARI Structure’ is a pair of goggles for competitive and master swimmers, can be likened to a part of the swimmers face. Is an adults size right for 10 years old and up? 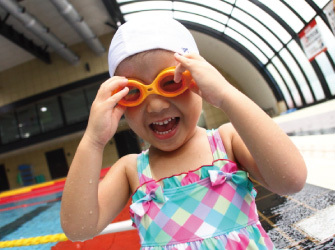 What do elementary and high school kids need from their goggles? 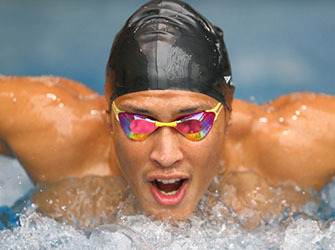 Swimming goggles with 47% reduced water resistance for athletes competing for even a tenth of a second advantage. Copyright © Tabata. All rights reserved.